So… you’ve completed the necessary steps to attaining your Massage License. Congratulations! But what do you do now? Well, you have a few options. First, you could work for somebody else at a spa, healing center, or resort. Second, you could rent a room or office of you own. Or third, you could practice massage out of the comfort of your own home. As is life, each of these options has both pros and cons to consider carefully in order to find the right path for you! 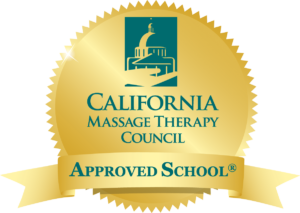 One of the perks of living in Santa Cruz is there are a plethora of establishments who need qualified massage therapists. If you are the type of person who has little interest in self-marketing, enjoys structure, or simply wants to gain more experience in a professional setting, this may be the best choice for you. Especially for a newly licensed massage therapist, this option offers the opportunity to build a clientele with little to no outside efforts. Most spas also provide all of the equipment needed as well as a safe, quiet, and serene setting that is necessary for an optimal experience. On the other hand, there have been many horror stories about working in a spa. Underpaid, overworked, and creatively stifled are often the complaints we hear about. You don’t need to be afraid. The point is, be sure to research each establishment thoroughly. It may even be a good idea to go in first as a client, receive a massage, and ask your massage therapist about their experience working for that particular company. Always remember that you have an amazing gift and that they would be lucky to have you as a part of their team! If you are the independent type, renting a room or office might be a great way to work for yourself while maintaining a professional tone. Some things to think about when searching for your space are location, surrounding establishments, and your potential client base. Location is everything. Do you want to be central where there’s foot traffic? Or more removed, as in a “retreat” type setting? In either case it is important that the client feels safe coming and going from this location, especially after dark. Many massage therapists choose to run a business out of their own home. While this offers the freedom and comfort that we desire, there is much to think about before taking the plunge. First, find out what the zoning laws for home-based businesses are in your area. There are certain ordinances you must honor, such as parking, exterior signage, and accessibility for clients who are disabled. You must also be sure to stay on top of your paperwork. Creating clear client policies and Intake forms are essential to protecting both yourself and your client. Remember to keep track of your income and save all receits for tax purposes. You must also consider the initial investment costs to begin your own practice. Everything from the rent all the way to small details, such as a box of tissues, is considered overhead. The key is to have as little overhead as possible in the beginning. Try not to get carried away with purchasing items that may not be necessary. Keep it simple, adding gradually to your collection as your business grows. Business loans are helpful, though I do not suggest them. The last thing you want is to begin your practice with a dark cloud of debt hanging over your head. If you do decide to take out a loan however, research interest rates first and be sure to make all of your payments on time.